Recently, Vembu Technologies has made some exciting announcements for customers regarding their suite of products, pricing and keeping pace with the various compliance standards on the horizon. Vembu is a great data protection solution that covers the entire gamut of data protection whether it be virtual, physical, or in the cloud. 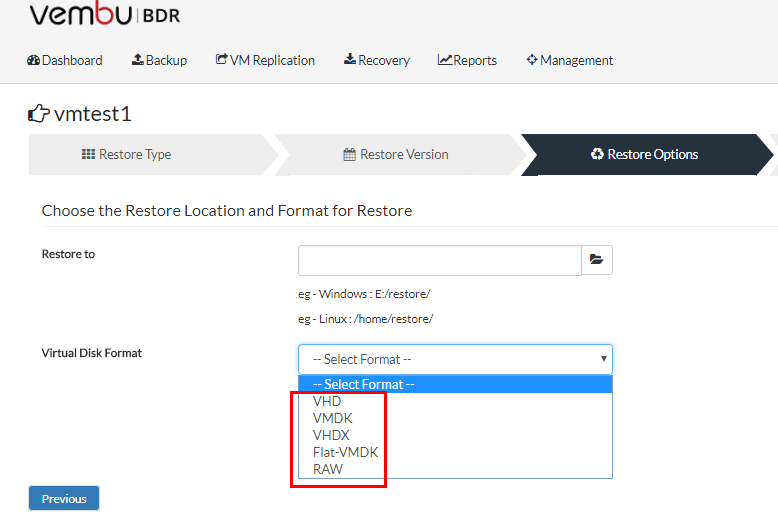 The Vembu BDR Suite is a fully featured product that allows customers to have a “one stop shop” to backing up any type of workload they have in their environment. Recently, Vembu has made three new announcements that adds to the business value of their products for customers. Let’s take a look at Vembu Perpetual Licensing Service Provider Program and GDPR. Like many companies offer today, Vembu has offered subscription model pricing for Vembu BDR Suite for the past several years. However, in listening to the needs of the customer base, they are now offering a perpetual licensing model as well. Vembu’s perpetual license model allows customers to use the software indefinitely in the future. This includes one year of maintenance and technical support with the product. After the one year, customers can choose to renew the maintenance contract to receive further support or product updates. The new annual maintenance contract offered is 20% of the original license price. However, unlike many service contracts offered by other companies, there are no penalties if service lapses and then the customer decides to renew at some point in the future. This new perpetual license allows customers to purchase the software at a low upfront cost that is steeply discounted due to the one-time cost. I really like the stance that Vembu is offering options to their customer base as well as future customers. Depending on the organization and their fiscal needs, having the option to either buy the software with a perpetual license or utilize a subscription model allows organizations to choose which model is best for them. As Vembu continues to add features and functionality to their product, this value will only increase with time. Vembu allows solution providers the abilities listed above with the tremendous benefit of knowing the solution is already being used by some 4000+ customers with great support and competitive pricing. Vembu helps solution providers do this while increasing their revenues and cutting costs. Vembu offers pay-as-you-go pricing so that solutions providers can be flexible and efficient in their operations. Vembu also allows solutions providers to have a powerful solution that empowers them to offer multi-tenancy capabilities in segregated environments under one single pane of glass. 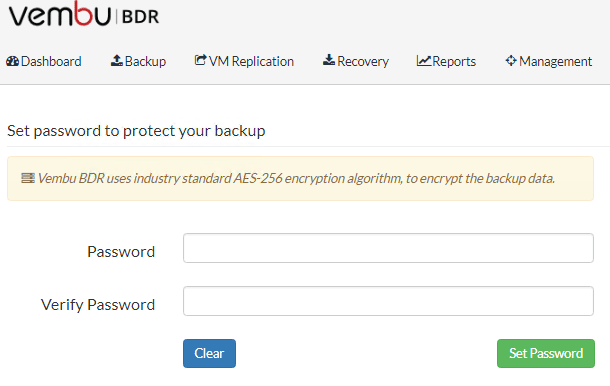 This Group Management feature allows solutions providers to provide a portal to customers to manage their own backup and recovery tasks. Additionally, with Vembu BDR360, solutions providers are able to manage, monitor, and report on their environments effectively. Vembu BDR360 provides all the tools to make sure the managed service environments are functioning correctly by providing health statuses, and alerting. There is a new compliance standard that is on everyone’s radar at the moment and it is called GDPR. Effective in the European Union, every resident is now the owner of their data. Sensitive data will by necessity be protected and this new compliance standard will most definitely affect all organizations around the world and how they handle data privacy and protection. Organizations who do not comply with the new standard which is set to go into effect May 25, 2018 will be subject to heavy fines. Vembu as a company has a track record of working hard to comply with local laws. Vembu has already laid the groundwork for GDPR compliance already by the patented VembuHIVE file system that uses AES 256 bit encryption in flight and at rest. Additionally, Vembu provides all the tools necessary to monitor backup and recovery tasks, apply retention so that data that does not need to be kept isn’t, and is working with various ones around the solutions provider community to make sure the GDPR challenge is met effectively. Vembu is a great data protection solution that provides one of the most all encompassing solutions for all types of workloads that can be found in the industry. The new recent announcements of Vembu Perpetual Licensing Service Provider Program and GDPR simply adds to the value of Vembu BDR Suite and the features/functionality that customers get with the Vembu suite of products. 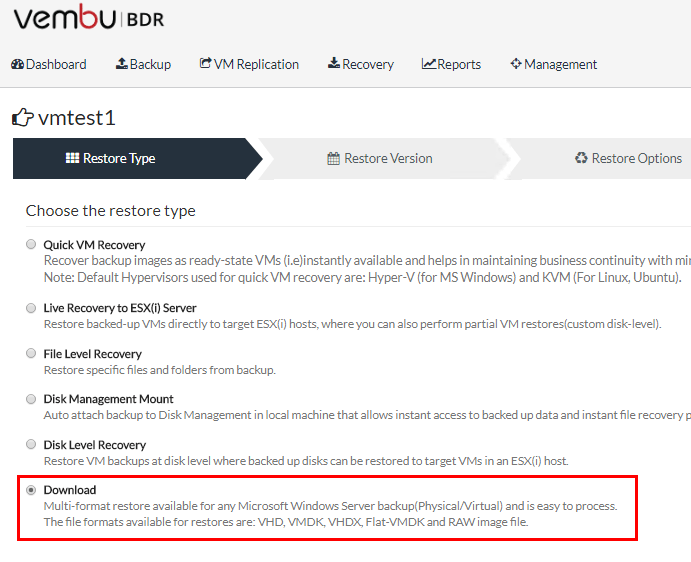 Check out Vembu BDR Suite for a free trial version that lets you fully put the software through the paces in your environment.